Horsetail (Equisetum arvense), often called mare’s tail, is an invasive, deep-rooted perennial weed that will spread quickly to form a dense carpet of foliage, crowding out less vigorous plants in beds and borders. Timing: Seen in spring and summer; treat in late summer. Horsetail is an invasive, deep-rooted weed with fast-growing rhizomes (underground stems) that quickly send up dense stands of foliage. Horsetail is easily recognised by its upright, fir tree-like shoots that appear in summer. In spring, fertile light brown stems, 20-50cm (10-20in) tall, appear with a cone-like spore producing structure at the end of the stems. In summer, sterile green shoots develop into fir tree-like plants, 60cm (2ft) tall. Removing horsetail by hand is difficult. Although rhizomes growing near the surface can be forked out, deeper roots will require a lot of excavation. 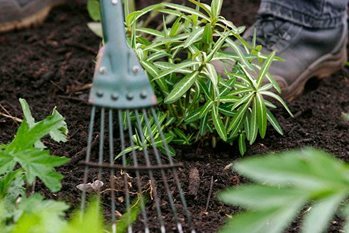 Shallow, occasional weeding is not effective and can make the problem worse, as the plant can regrow from any small pieces left behind. However, removing shoots as soon as they appear above the ground can reduce infestation if carried out over a number of years. If horsetail appears in lawns, it can be kept in check by mowing regularly. Infestations of horsetail can be weakened with weedkiller. Remember: horsetail is persistent, and several applications – possibly over a number of years – may be necessary to completely eradicate the problem.